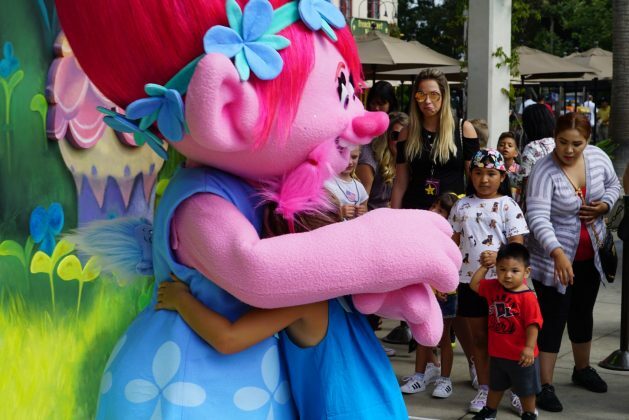 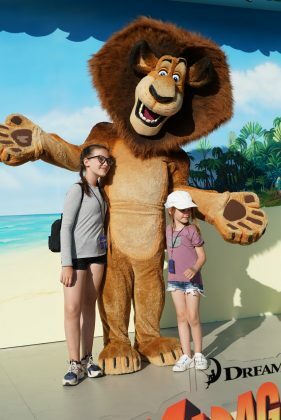 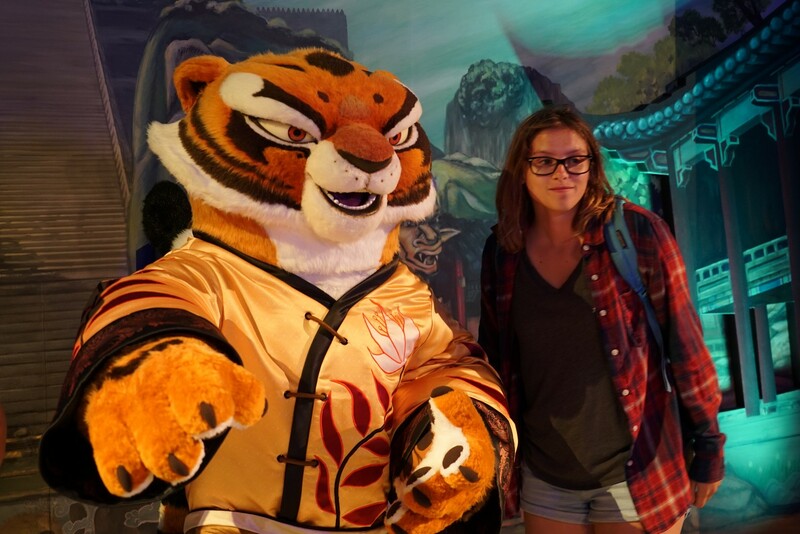 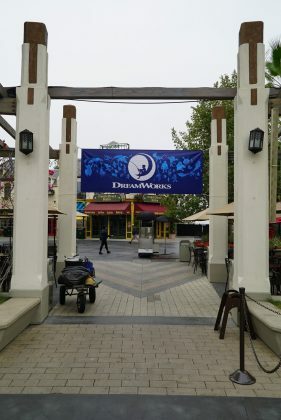 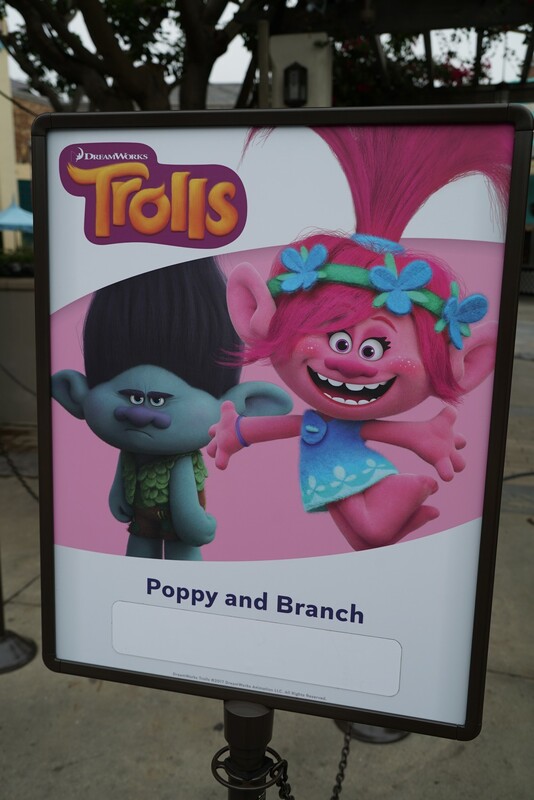 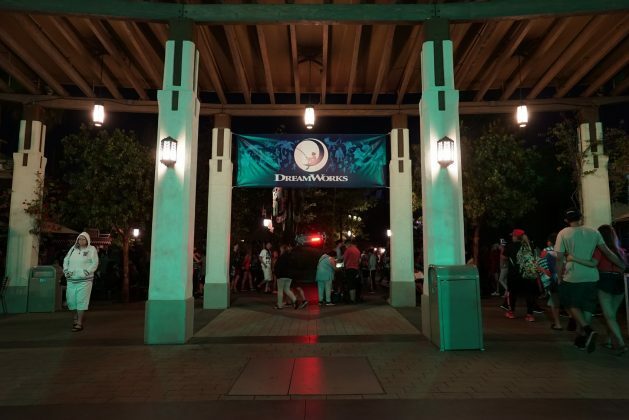 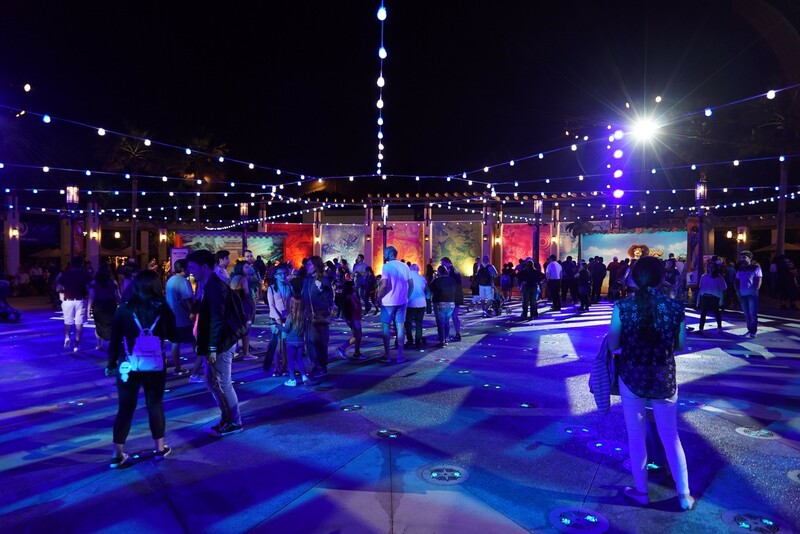 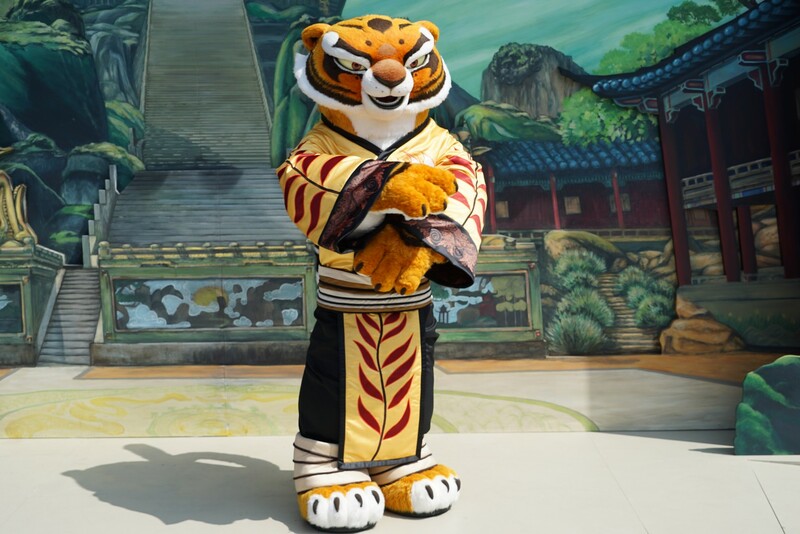 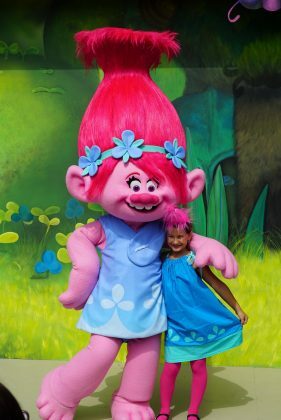 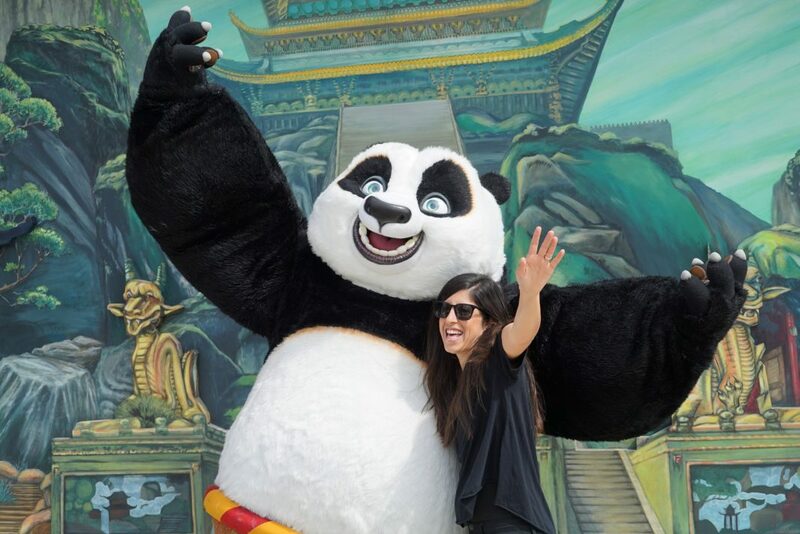 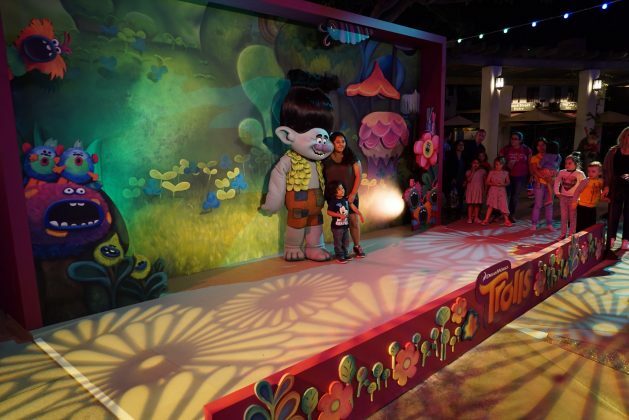 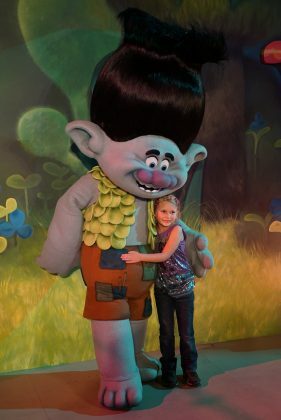 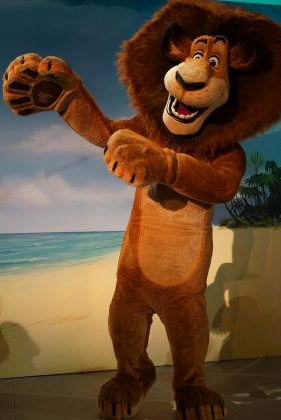 Universal Studios Hollywood has officially debuted several popular DreamWorks characters with a new Meet & Greet area and dance party to kick off the 2017 Summer. 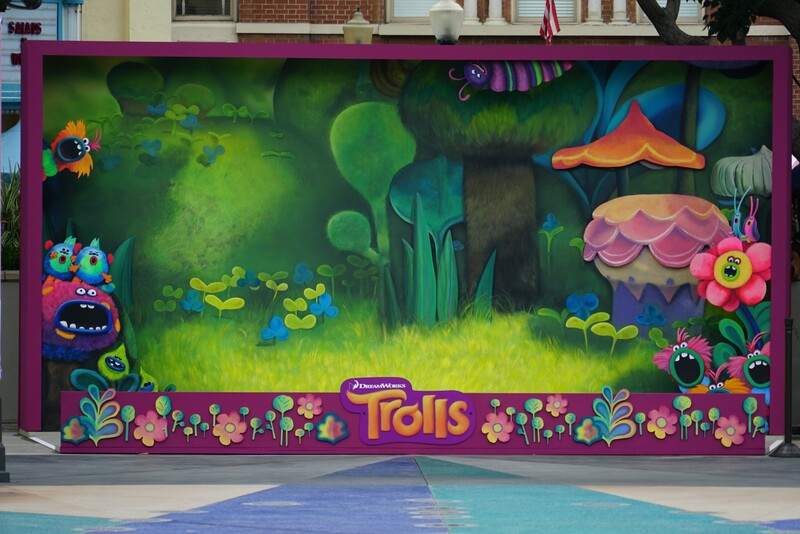 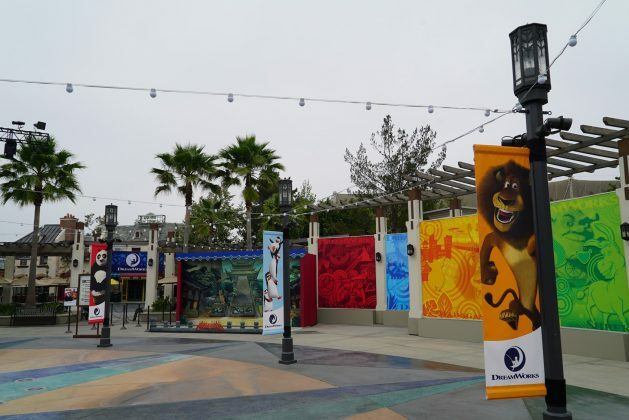 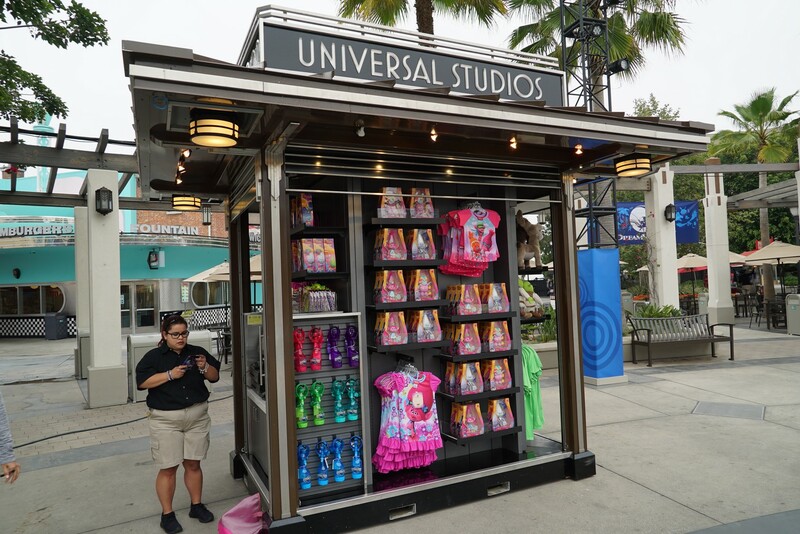 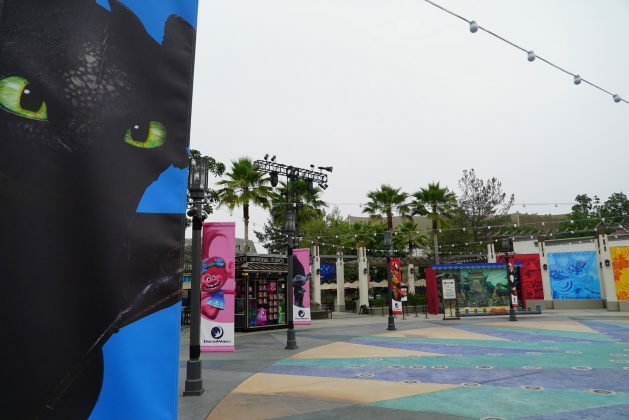 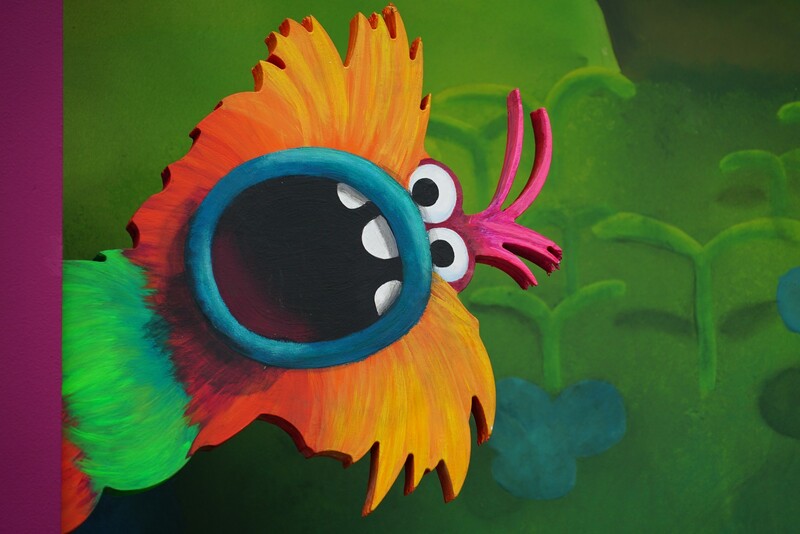 The Universal Plaza has been decked out with five dioramas – each representing a classic DreamWorks animated film. 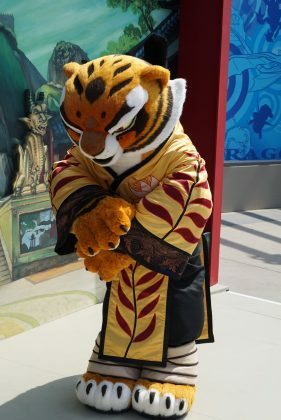 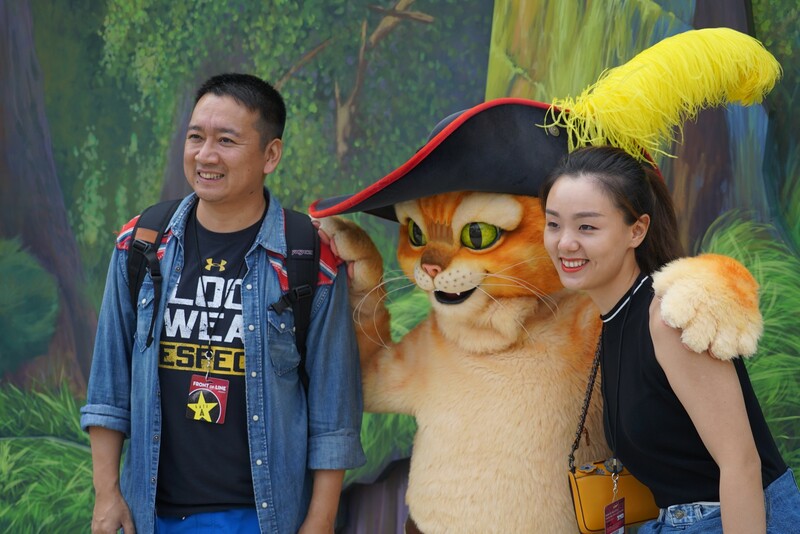 Throughout the day, several characters representing their respective franchise rotate in-and-out offering may opportunities for guests to meet them and take photos. 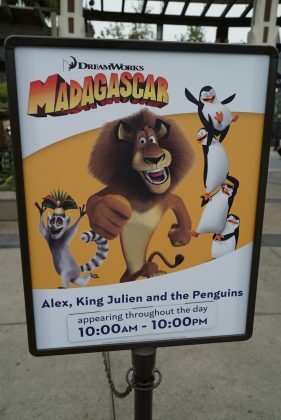 With the debut, Universal Studios has added a large amount of popular characters to its “Meet & Greet” line-up. 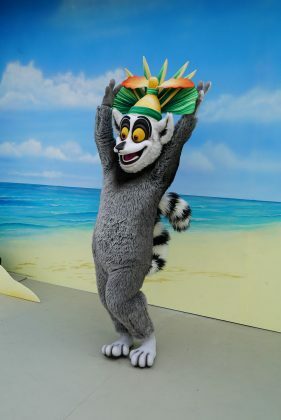 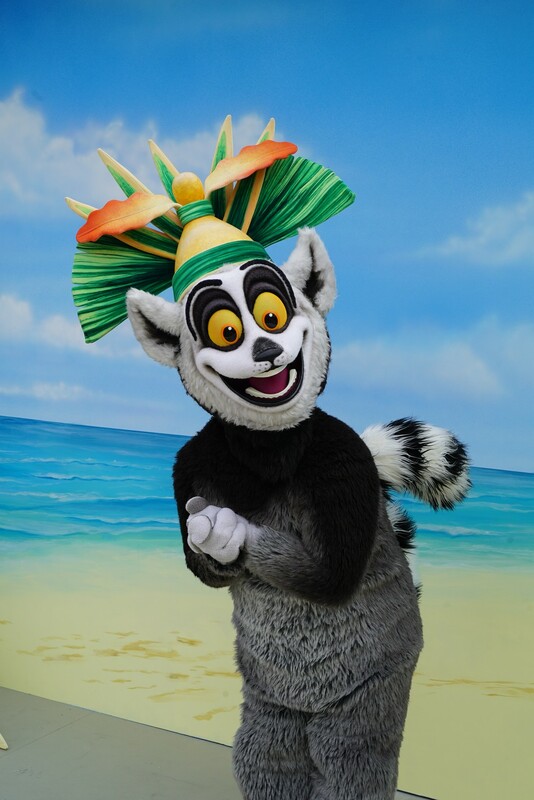 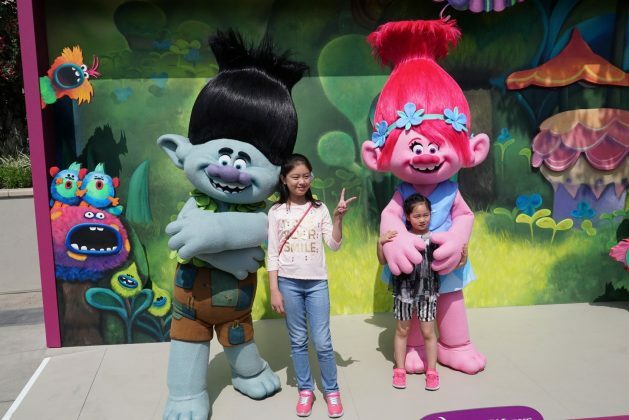 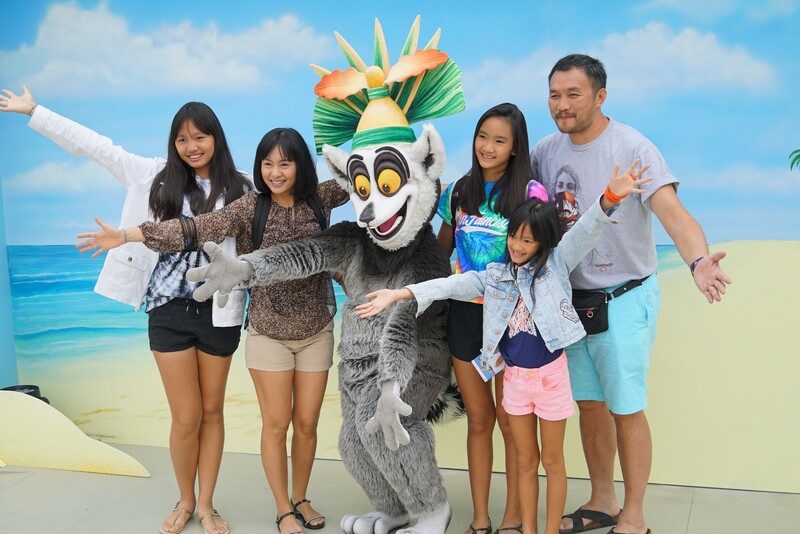 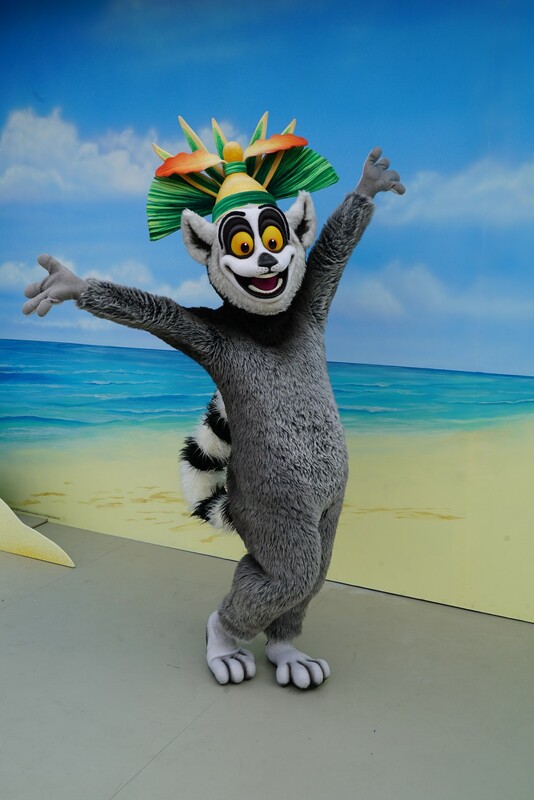 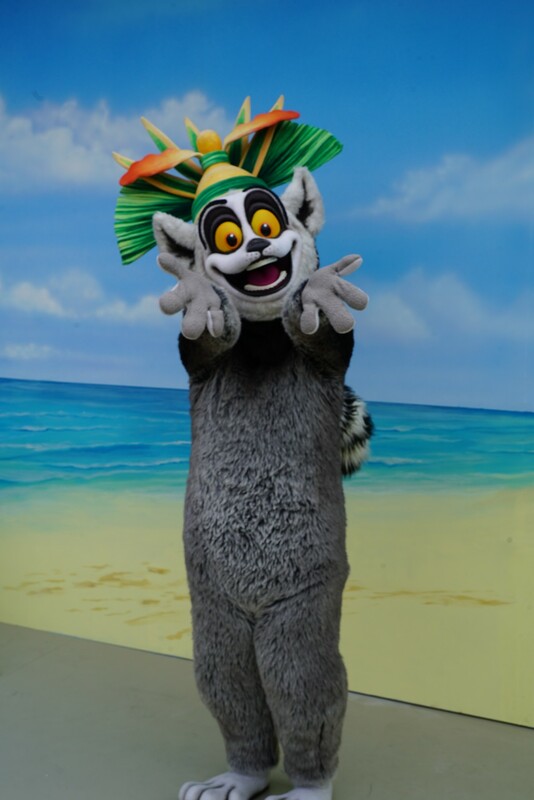 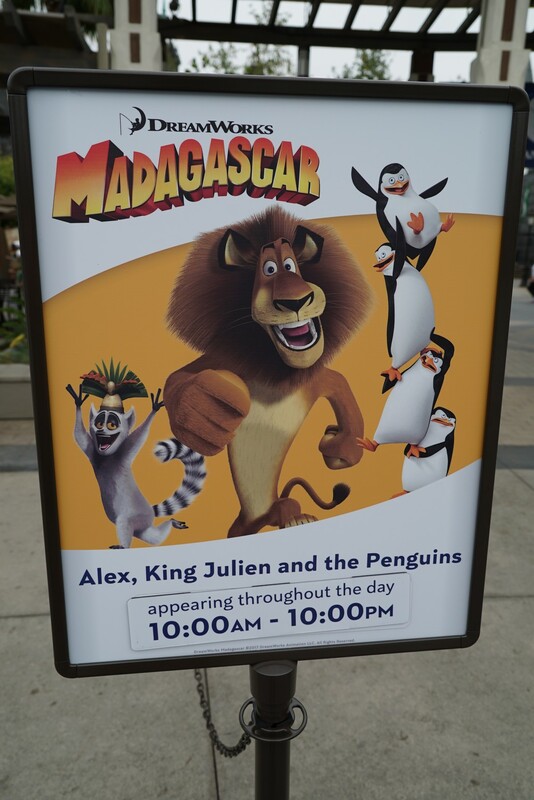 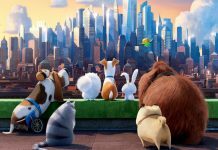 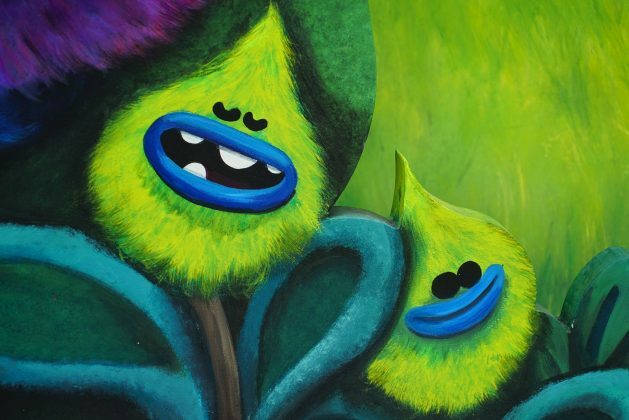 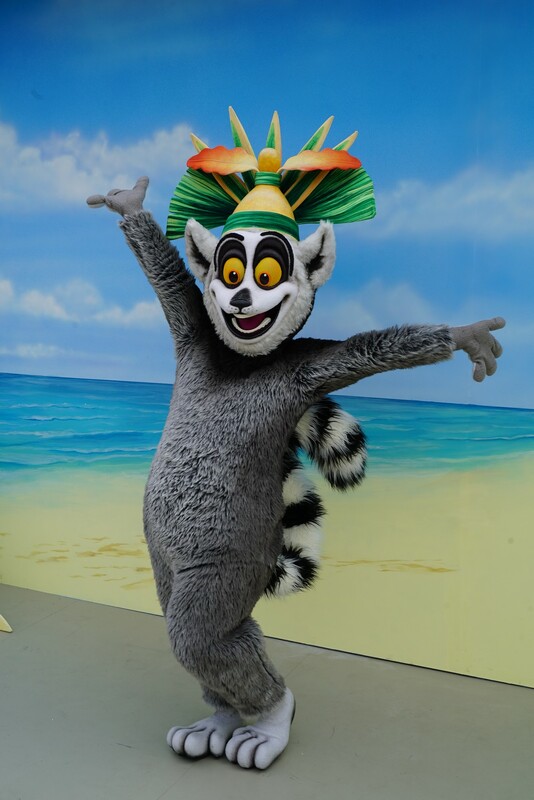 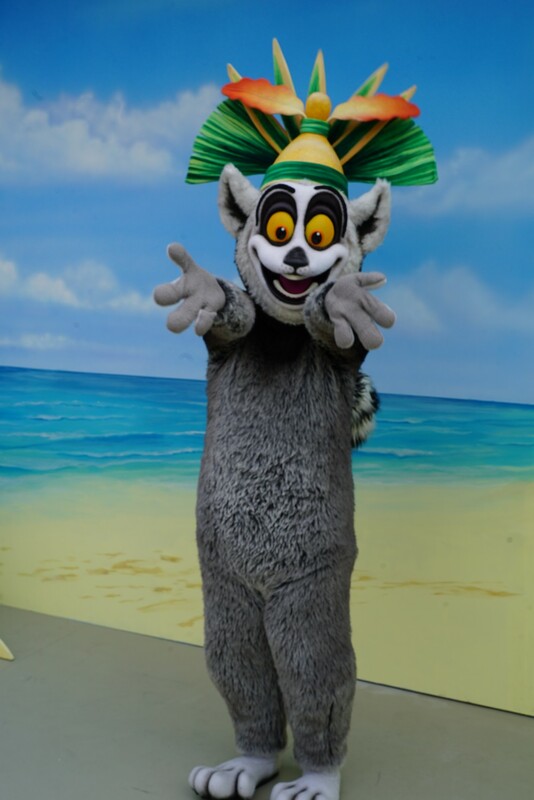 Now, guests can travel to the island of Madagascar to meet with Alex, King Julian, and those scheming penguins; get their groove on with Branch and Poppy from Trolls; learn Kung Fu with Po and Tigress; and trespass into Shrek’s swamp to meet the ogre himself along with Puss in Boots. Universal has also set up a diorama with the lovable dragon Toothless from How to Train Your Dragon. 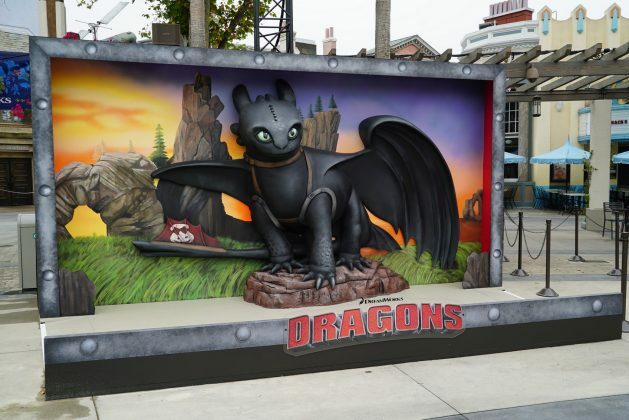 This is just a static photo opportunity however, as there are no face characters that meet with Toothless at this time. 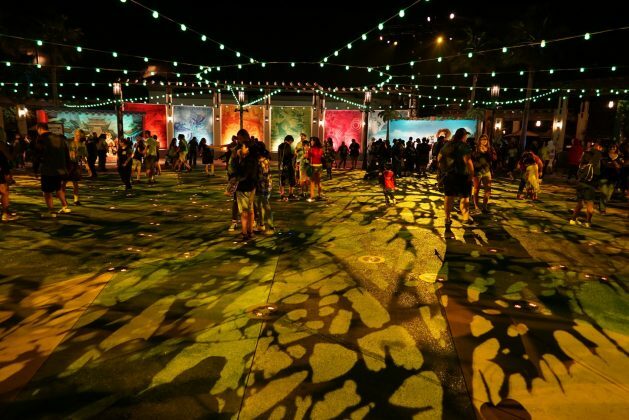 At night, Universal Plaza comes alive as Donkey – from the Shrek franchise – takes over as “DJ”, being heard all throughout the plaza to kick up the music and atmosphere. 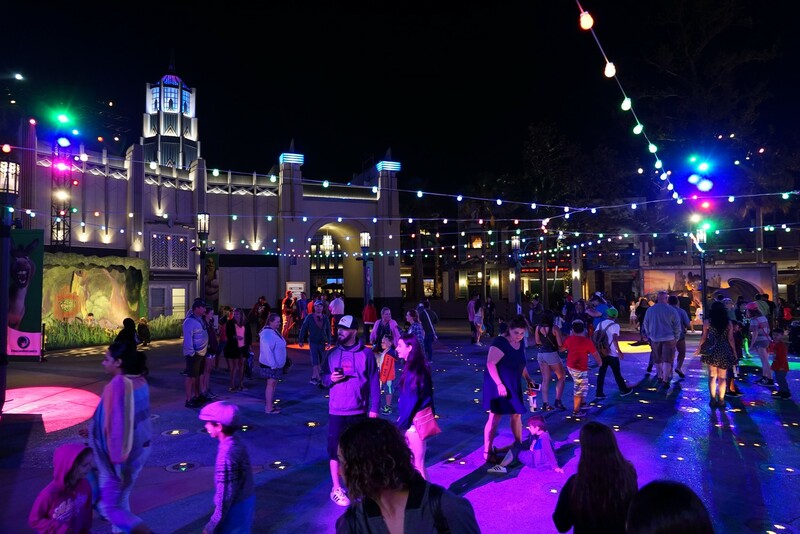 In addition to the dance music, Universal has added fun, choreographed light shows that incorporate the Plaza’s fountain lights – minus the water. 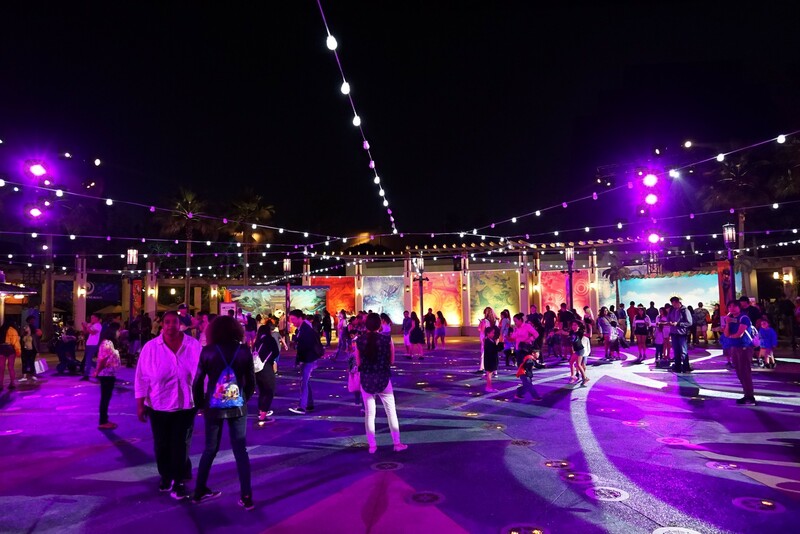 The addition of the DreamWorks characters brings the plaza to life with colorful lights, fun vibes, and smiling faces. 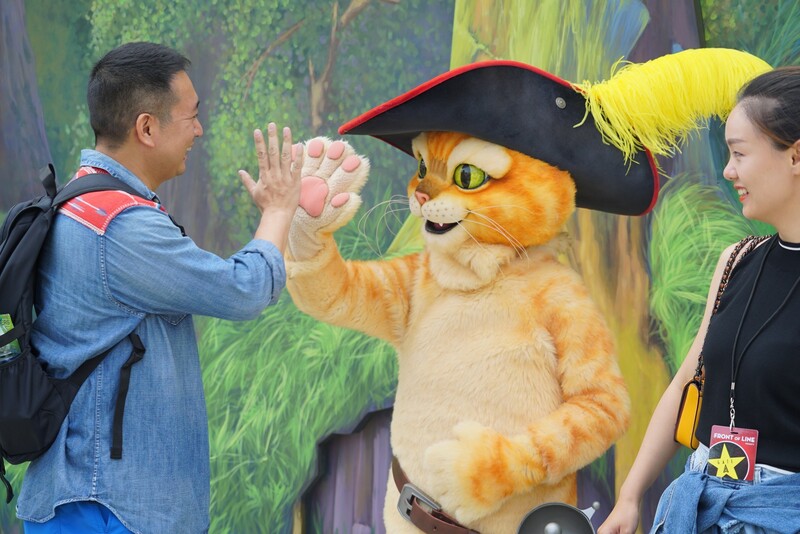 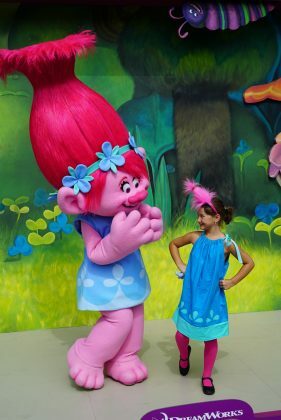 Expect the DreamWorks character meet to continue daily all summer long. 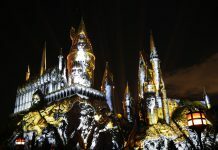 Next articleInside Universal Radio: Orlando – 2. 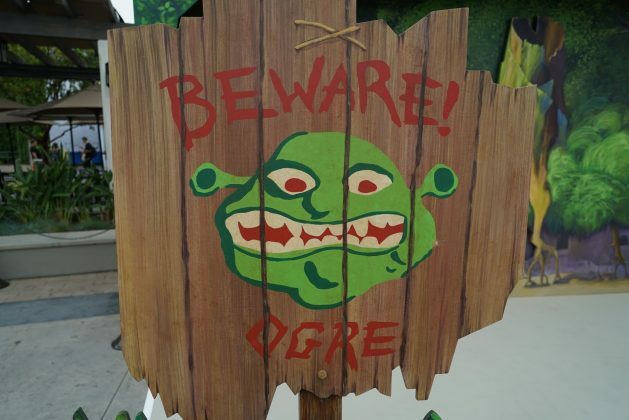 Honk If You Love Aventura!